Greedy Flower - Does hell exist? Yes and it is the world you live in! 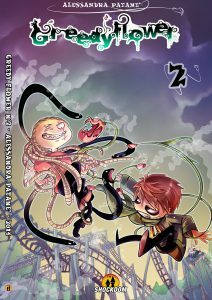 Welcome to Greedy Flower's world! Beyond these pages a gloomy and scary world is waiting for you: a place where good has lost its endless battle with evil and there's no room for good feelings. A terrible and lonely land, chased by dark evil spirits that make use of emissaries beyond any suspicion to assault human beings and feast on their souls. Who would ever suspect a harmless child? Barricade your house, lock your doors and windows and, above all... don't accept roses from strangers. Enjoy! 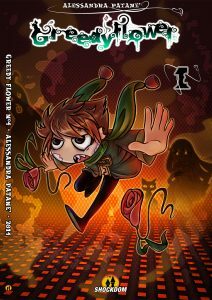 Discover the story of Greedy Flower! 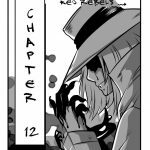 Read more Chapter 12 is online! 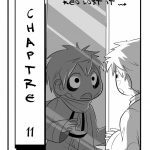 Read more Chapter 11 is online! 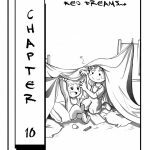 Read more Chapter 10 is online! 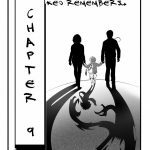 Read more Chapter 9 is online! 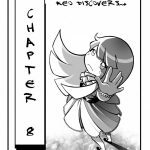 Read more Chapter 8 is online! 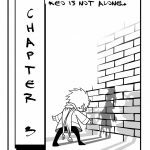 Read more Chapter 7 is online! 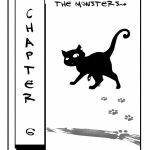 Read more Chapter 6 is online! 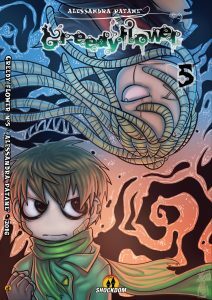 Read more Chapter 5 is online! 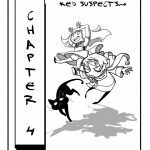 Read more Chapter 4 is online! 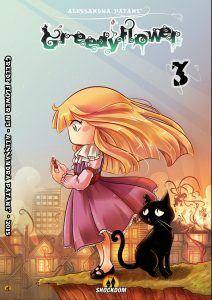 Read more Chapter 3 is online! Young predator at Kurobo's service; stubborn and perseverant. Steals people's souls and feeds on them using a bouquet of floral monsters slipping out his sleeve. He has no memories of his past and has lived alone for 99 years. Leader of Robo's realm, keeper of souls, memories and bodies. He aims to subdue the human race. He needs to use pure and innocent souls, as he can't do it directly: he needs to exploit children unable to distinguish between good and evil. Cheerful child born in the flower's city, seeking for her parents. 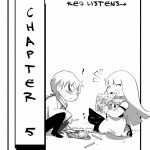 She meets Keo near Candyland and takes a liking to him, following him in his long journey to be helped in return. Moo's faithful pet, which was never separated from her and defends her from any danger. Despite the name of an Egyptian deity, this nice cat is a male. One of the many Robos of the realm, extremely loyal to Kurobo. He was entrusted with an important role within the Evil Lord's plan, thanks to his marvelous genius and his inborn talent that allows him to survive even the deadliest attack. 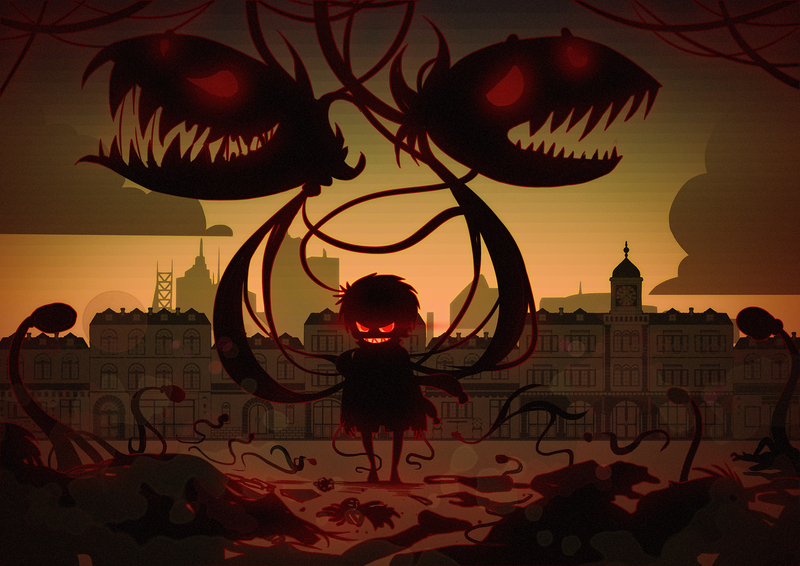 Mysterious one-eyed child with gear-shaped teeths, attacks his enemies by morphing his dreads into deadly eels. 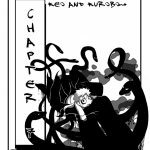 Despite his nature looks similar to Keo's, he doesn't seem interested in either gathering souls nor cohoperating with Kurobo; his only obsession seems to be Moo, who persecutes way before meeting Keo. 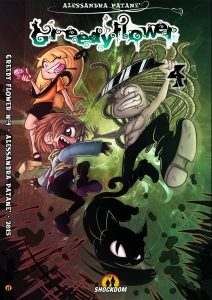 You can purchase each volume printed by Shockdom online. 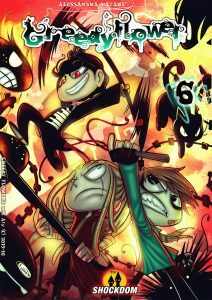 The comics are only available in Italian. 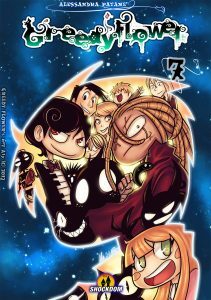 Click on the covers to be redirected to the item's page on the Shockdom Store.